Falmouth Village Blooming is a celebration of all that is Spring. 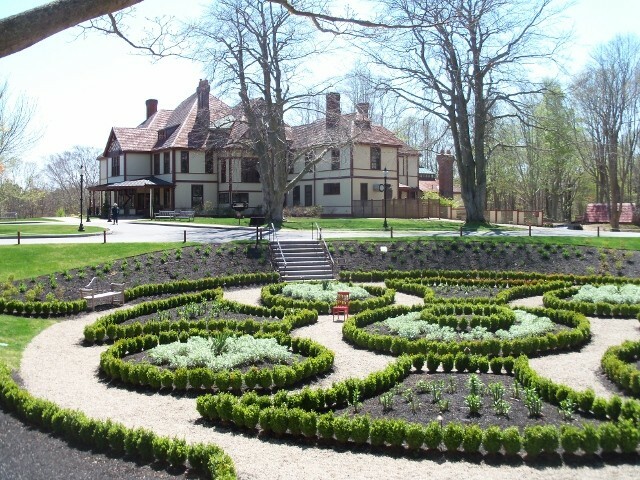 The spring celebration kicks off on May 1st with a self guided tour through Falmouth Village to view May Baskets on display. You have a chance to vote on the Falmouth Village Facebook page for your favorite as participants vie for the People’s choice award. Enjoy Flower Power Happy Hours at participating restaurants from 3- 5 pm during the first two weekends of the May. Throughout the Village be on the lookout for Blooming Bargains at all the participating retail shops. Some of the very special scheduled events include: Cinco de Mayo celebration at Anejo’s Mexican Bistro on May 5th, Ring around the Maypole at Highfield Hall on May 4th, Annual Falmouth Beautification Sale on May 10th, Just for Kids Colonial Gardening at Falmouth Museums on the Green on May 10th and the Falmouth Bed & Breakfast Association Garden Tour on May 10th from 1 – 3 pm. There is something fun for everyone during Falmouth Village Blooming. For the latest information and schedule click here to go to the Falmouth Village website.